The thing about places like Portland and San Francisco is that they aren’t nice. They have a reputation for being wooly and hippieish and silly, but they are in fact very angry places, full of very angry people. They are also highly segregated places in ways that the South and Southwest really aren’t. Angry white people with money make the world go ’round, apparently. 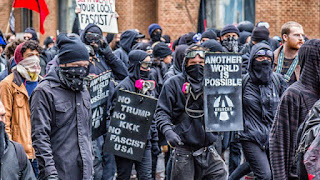 Antifa stopped and rerouted traffic, terrorized and assaulted motorists, beat people up and trashed their vehicles while the Portland police made zero arrests. Nope nothing to see here folks, just move alone. Only a few liberal progressives exercising their First Amendment right to riot and law abiding citizens can go to hell. Mayor Wheeler “publicly” supported the Portland police for their “uninvolved actions” which was why Patriot Prayer and other protesters called on him to be removed from office, as he is apart of the aiding and abetting of these domestic terrorists. It’s another sad day in America when Americans have to patrol against the corrupt officials who swore an oath to serve and protect their people and their cities. They are apart of the deep state socialist agenda, once hidden, now blatantly in your face. 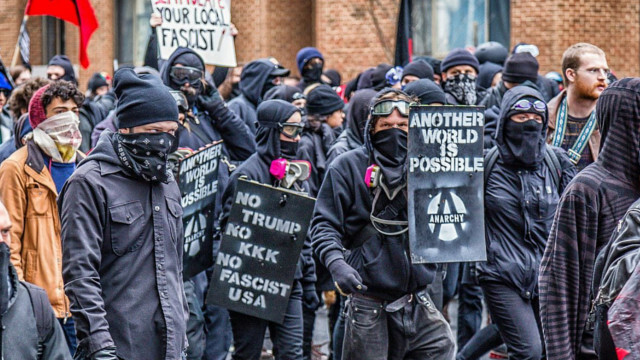 Comment: The Antifa are true fascists!